Before we start, ask yourself this question. How many times a day do you check your phone? Did you know the average person checks their phone every 15 minutes on average. And of those checks every 15 minutes, 80% are not a result of a notification. We are anxiously chasing likes and to see what others are doing and naturally compare ourselves, we are comparing how we look to others, we are looking where people are holidaying, we are filtering pictures to look like someone who we are not. We check our phone out of anxiety despite knowing there is no notification. 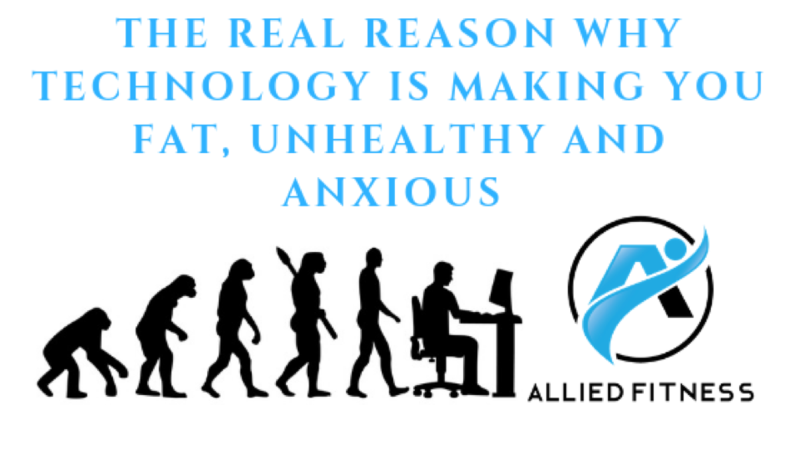 You would know or have heard that mental illness is rising significantly in Australia and the world, either it’s coincidental or true but the rise directly correlates with our advancements in technology and the rise of social media. Did you know Steve Jobs created the iPhone but didn’t let his children have one? Crazy huh! Why…..because he knew he was shaping an unrealistic world with his technology that he didn’t want his children to be a part of. Technology is programming us to feel and act certain ways that is customised to how we interact with the technology. We are becoming more anxious because of social media. Get off Instagram and work off some kilograms going for a run. Don’t cheat, do it. If you do, one you will diffuse your obsession with your phone and social media, two you will get fit and healthy at the same time! Win Win! On a note of mental health, Exercise is key. Exercise releases endorphins that change the chemical balance of the brain. Exercise CONSISTENTLY and you will create PERSTISTENCE against your excuses. It starts by waking up early, don’t snooze. You have 5 seconds to make a positive decision to start and set up your day. 5, 4, 3, 2, 1….make a healthy decision! If you haven’t made a decision your brain will produce an excuse. This is why our Exercise Physiologists start our shifts and helping people function better at 6am, come see us to tailor a specific and safe program for you! Click here to find a location near you.